This summer I sorta became a gym rat. Besides the obvious benefits of getting in shape and maintaining a healthy weight I started to think what else is the gym doing for me that I am unaware of. Well yeah, burning calories is a plus but besides the obvious changes I can see with my eyes ; what is the gym really doing for me? 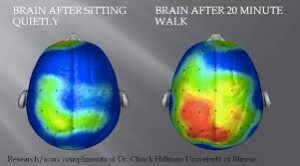 Throughout school I have always heard exercise releases endorphins. Ok, yeah so does chocolate, Am I right? Not sure. This summer I did little to nothing besides workout 2-3x a day and then lay in my pool or by the water in my spare time. Obviously this summer I experienced little to no stress. Was it from my relaxed lifestyle I got to embrace this summer or was it from the gym? I intend on finding out. After skimming a BUNCH of intriguing articles I found one that acknowledges a few more aspects to exercise that I think everyone should check out. I know that after a bad breakup, a fight with a friend, a bad grade or just a lot on my plate a good workout will always make me feel better, but I never cared to know why. It turns out that one of the most common benefits of exercise happens to be stress relief. 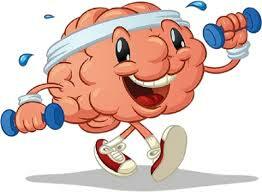 Working out causes an increase in norepinephrine in your brain. This helps to moderate your response to stress within your brain. Obviously sometimes I dread going to the gym (especially here at school) (because who are you kidding you would prefer to lie in bed and watch netflix too). But after I finish a workout at the gym I never find myself saying; wow, I wish I didn’t do that ! I always find myself feeling great and energized after the gym and I wonder why. Just as we were taught in school -exercise releases endorphins. This causes feelings of happiness and euphoria. Not only do you feel good naturally following a killer workout your self confidence is also increased. You feel good both physically and mentally. Now, lets be realistic, some of us can’t get to the gym with our schedules and not all of us are athletes but you don’t need to stress over it. After learning this I decided to find some stress reliving, endorphin releasing alternatives just out of curiosity. I found some easy alternatives. So first off, I was right about the chocolate thing. The chemicals found within chocolate are prompted to release endorphins just like exercise! Heres an easy one for you, LAUGH! Laugh until it hurts; same effect on your brain, reduces stress hormones as well as triggers the release of these feel good endorphins! And lastly another one of my favorites (if your 21 or over of course) Spike your drink!! Is this the best habit? Probably not. But they don’t call it happy hour for no reason. After a drink or two your brain starts to release endorphins in regions of your brain responsible for pleasure and reward. Anyways, drink responsibly. Overall, I believe my summer was overall stress free due to my workout schedule as well as the life of leisure I lived. I do believe the workouts had a lot to do with it. I am sure to make sure I keep up these good habits throughout the school year to remain somewhat stress free, and when I cant make it to the gym.. I now know some easy alternatives. This entry was posted in Uncategorized on September 7, 2016 by Olivia Anne Browne. Loved your post! When I started going to see a counselor for anxiety they always told me to work out and it will help. I knew exercise had a positive affect on controlling anxiety but I just can’t seem to find the right time to go to the gym. So it’s really cool that you had this experience. I may honestly try it for myself. I found this article about how many times someone should work out in a week and I think you would find it interesting! I actually did research on the same topic earlier last year! I started going to the gym my sophomore year in high school and just loved it. Even now, the gym has influenced all aspects of my life. My days feel so much more content after I get a walk or run in. I also got into yoga my senior year and wow did that help when I needed a break from filling out multiple college applications. I found a funky yoga place in state college if you’re interested. It’s called State College Yoga. Here’s 38 reasons why yoga is good for you!